Dare to live your dreams and consciously awaken to your good life." 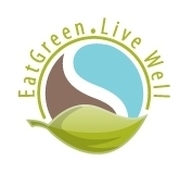 At the Earth and Water Wellness Institute we celebrate Earth Day every day! Because we're on a mission to inspire a reconnection TO nature THROUGH nature. Individuals - Individual programs and online courses along with group workshops & nature-based community retreats to guide you on your way to wellness. Be WISE and Choose EDUCATION not MEDICATION!